Twitter has become the World's second most popular social media website. People have received thousands of visits to their website with the help of a single tweet. 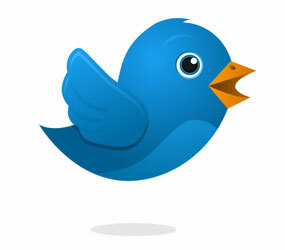 Tweeting helps get lots of traffic to your website if you are having a lot of followers on Twitter. Get More Twitter Followers The Easy Way! People love to connect with genuine people and the best way to judge the genuineness of a profile is a complete bio with a photograph. A comprehensive bio (original name) with an attractive photo will help your profile to look genuine and complete and would lay the foundation of getting more followers. If you are on Twitter then start tweeting. The more you tweet, the better your chances of getting more visibility and hence more followers. Follow the taste of your followers, follow twitter trends and tweet accordingly. You will be amazed to see how many people start following you this way. If you are having a new profile on Twitter then the best way to give a start is to follow people in your niche. The more you follow, the more followers you will get. But this should be at regular intervals and you must genuine profiles. Retweet is a powerful weapon on Twitter. Remain active and retweet stories that you find worth sharing. This is also a proven strategy of increasing Twitter followers. Twitter gives you the freedom to be creative by allowing you to send tweets upto 140 characters. Use these 140 characters in a smart way and share stuff that people love to read. The more your creativity, the more would be your chances of increasing your Twitter followers.